One fish, two fish: Are we counting too few fish? When fish are in short supply, every fish counts. To make every fish count, it's important to accurately and comprehensively count the fish. Three miles offshore, in the Gulf of Alaska's industrial groundfish fisheries, counting fish is the job of fishery observers. These trained scientists gather data about what the vessels catch and keep, and what they discard as bycatch. The data collected is essential for monitoring and managing the fisheries. Trawler boats that fish for pollock, cod, rockfish and flatfish are required to carry independent fishery observers for some of their trips. This is a requirement that makes sense; it is well-known to fishery managers that trawlers can easily end up taking more than their fair share of fish from the ocean. Large trawl nets, dragged through the water or along the seafloor, catch thousands to tens of thousands of fish in a single pass. Not all that fish is kept. Some species, such as salmon, halibut and crab, are required by law to be discarded. Those species are valuable as their own fisheries, so long-standing management measures have been put in place to prevent trawlers from targeting and selling them. Other species that are undesired or can't be sold, like skates, sharks, snailfish and sculpins, are thrown back, dead or dying. The same goes for the corals, sponges and sea stars that make up the living structure of the Alaskan seafloor. There have been hard-fought battles at the North Pacific Fishery Management Council to ratchet down the trawlers' bycatch. In the Gulf of Alaska, limits have been put in place on the number of king salmon and halibut that can be killed as incidental bycatch in the trawl fisheries. The trawlers will be allowed to catch and discard up to 33,000 king salmon and 3.8 million pounds of halibut this year before they'd have to stop fishing for the year. Allowing this amount of bycatch in the trawl fisheries is difficult to stomach — especially now, while commercial salmon fisheries, fishing derbies and subsistence opportunities are being shut down to conserve king salmon runs and halibut populations are on the decline. Even with this urgent need for comprehensive and accurate accounting of king salmon and halibut bycatch, a decreasing percentage of Gulf of Alaska trawl fishing trips are being monitored by fishery observers. Unless changes are made, an even smaller proportion of trawl trips will be monitored next year. Each unobserved trawling trip reduces the confidence that every dead salmon or halibut is being counted. It's impossible to know how well those fish are being reported when no one is watching. And with salmon and halibut limits in place that can shut down the trawl fishery, it is essential to document the true extent of the trawl fleet's bycatch. 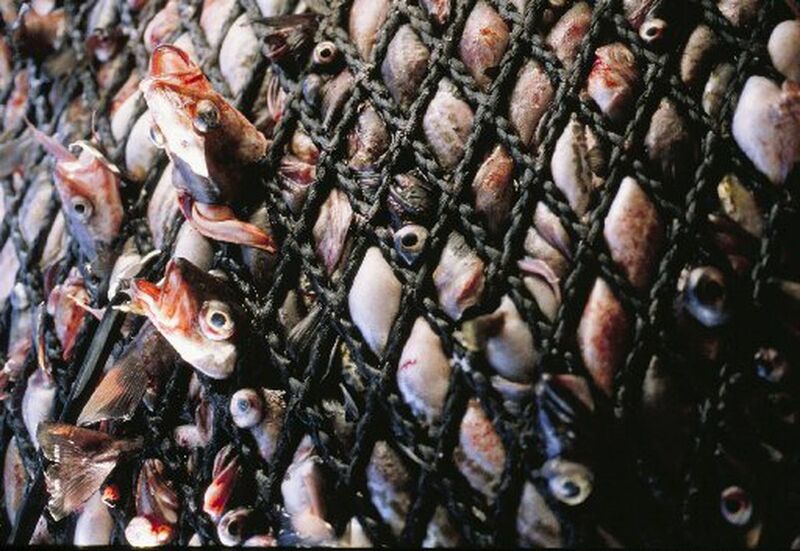 We need to get serious about the impacts of trawling. The North Pacific Fishery Management Council will meet in Kodiak the week of June 4 and will have the opportunity to address shortcomings in the groundfish observer program. Let's urge the council to get observers on every trawl boat. Jon Warrenchuk has almost two decades of experience working on complex fisheries management and conservation issues in Alaska and is Oceana's Senior Scientist and Campaign Manager. He resides in Juneau.